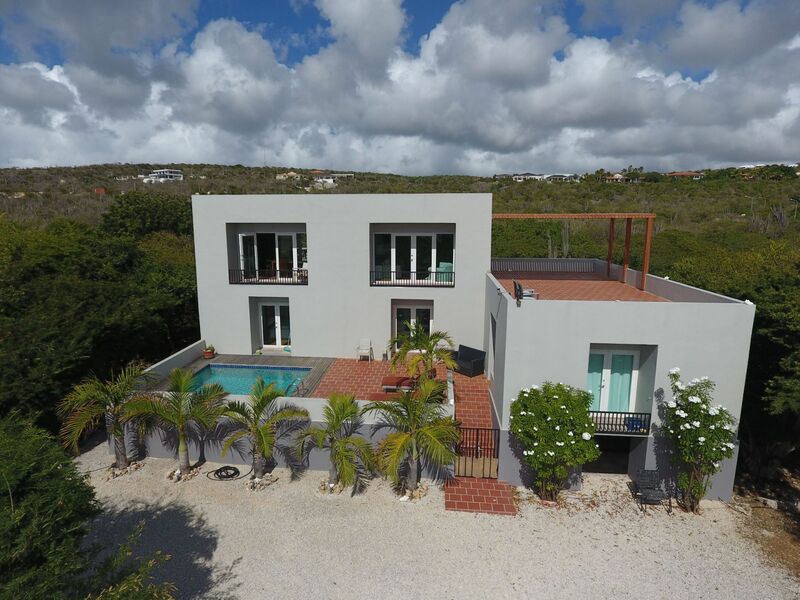 This 3 bedrooms/3 bathrooms villa offers privacy, views and great cross breezes in a modern design styled manner. You can admire island, surroundings and sea views from various terraces. The pool deck and its terrace offer a lot of privacy. Due to the smart design and lay out, you can opt to use cross breezes to cool the various rooms. The studio apartment could be used for your guests, or generate some extra income. Garden: partly landscaped and partly natural garden. Entrance to elevated first floor with office room and adjacent sun terrace, 4 bedrooms (doors to balcony. 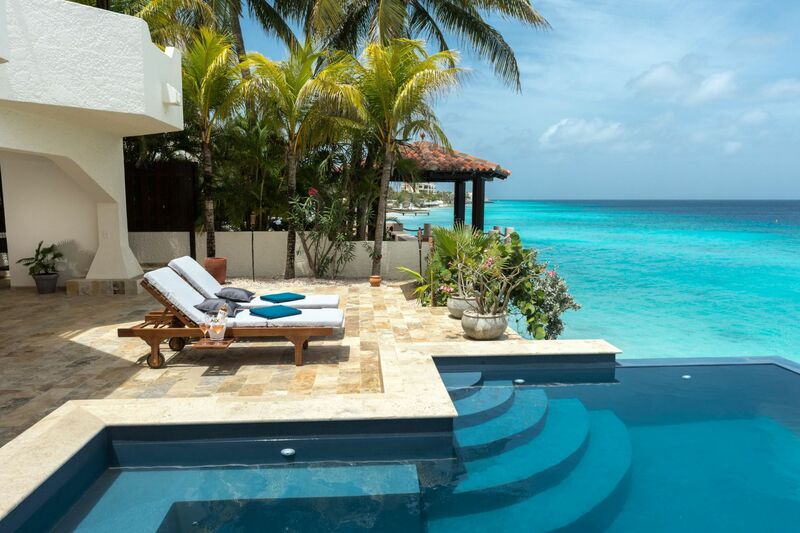 Two bedrooms have direct access to pool & deck) with 4 private bathrooms, pool with deck and sun terrace. Stairs to second floor level with living room & open concept kitchen (both with doors to balcony). Adjacent to living room and kitchen there are two spacious sun terraces. 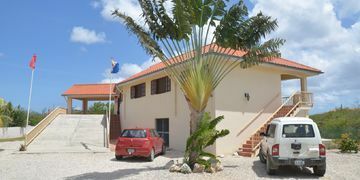 Outside stairs leading to huge roof terrace with 360º panoramic views over island, the Caribbean Sea and Klein Bonaire. Registered at the Land Registry Office Kadaster, number 4-A-1044.